They are large ugly, brutish and disgusting. 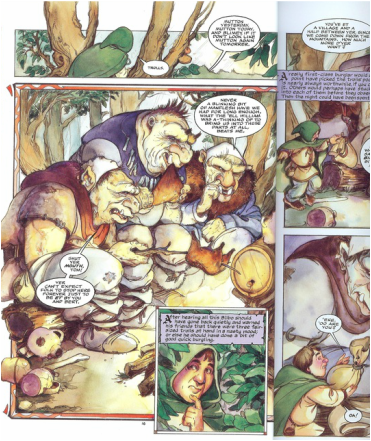 They were going to eat Bilbo and the dwarves but luckily Gandalf tricked the trolls and thus saved the the party and turned the trolls to stone. This image is from the graphic novel.